Which brings me back to EPIC 2013. I had been looking into synergies across design, ethnography, and mobile and was happy to deliver a workshop for EPIC attendees to look at advances in mobile apps that support ethnographic research. As a group, we identified the pro/con’s of mobile apps and discussed how field research could be better supported. The topic was relevant not only to the ethnographic community but also to audiences who interact frequently with industry analysts: digital marketers, innovation teams, design groups, product/service managers, and IT organizations. It struck me that EPIC (as a conference and organization) is in a position to act as a yearly event touch point between those in the social sciences and business/technology strategists interested in the same issues. Holding a workshop on the last day of EPIC was daunting – you hope to maintain the level of energy and excitement generated from other session topics and speakers. It was suggested that we leave ample time for people to network and exchange ideas so the workshop was “discussion based” with a minimal amount of slides. I planned the workshop to be structured around two exercises. Attendees broke into small groups facilitated by Siamack, Mark, and Ross. I have encouraged them to share their experiences via comments to this post. We also collected photos of the group work sheets and placed them in a public Dropbox folder along with the presentation. I encourage anyone who participated in the EPIC workshop to add their perspective on the session and their workgroup exercise via comments below. What tools work and why? What tools don’t work and why? Feel free to discuss, identify, and call out your favorite or most frustrating tools, sites, and other services (e.g., file sync). What about the other tasks – project management, data management – analytics – what else do we need to think about? I had originally anticipated that workshop attendees would create a useful list of features. But given how the conversation flowed, I realized that the possibility of categorizing tools and defining a common set of requirements based on group consensus might be possible (if we had more time) but might not be realistic in terms of sustainability. 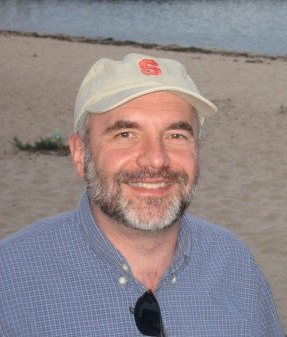 It seemed that the diversity in how field research is conducted, the range of techniques employed, and the broad variety of personal preferences, creates a very long list of tools that is always in flux and also changes as new technologies emerge in the market. As I circulated around the room, I observed that workshop participants were also framing conversations around personal tracking. 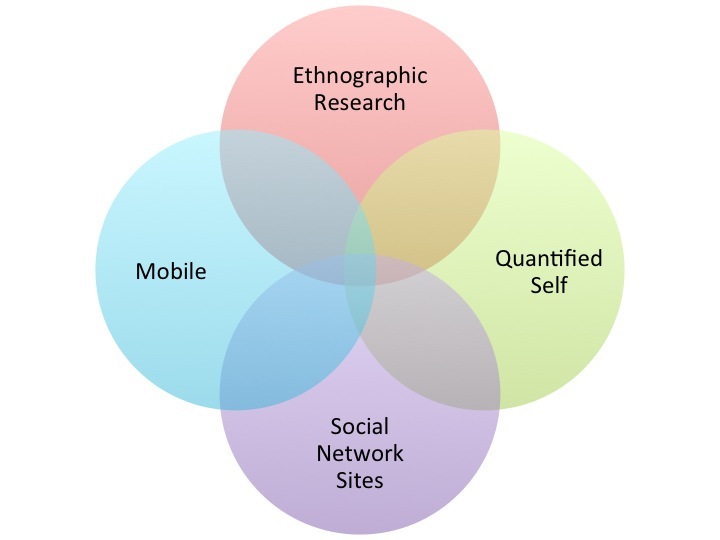 While I had planned the workshop around the exercises, a funny thing happened – “quantified self” become a hot topic and it had an intriguing intersection with mobile ethnography. The workshop evolved to include discussion on personalized sensors, personal analytics, and how that trend can also become part of ethnographic practices and impact mobile tools. This insight was most helpful for my own research at Gartner. I went into the workshop thinking that dedicated mobile apps instrumented to assist field research were a valuable ethnographic option for those conducting market or field research. That still might be the case but perhaps the bigger issue is not the mobile app but the application programming interface (API). The goals of mobile ethnography will be augmented by the growth in self-tracking mobile apps, wearable technologies, and other types of personalized sensors – making integration a critical market and personal need. People’s “quantified self” activities can help those conducting field research to observe/capture “in the moment, in the emotion” experiences that are difficult to contextualize through other means. My new line of thinking is that a focus on APIs, data aggregation/analytics, and the community/social networking aspects of quantified self can combine in to scale ethnographic research in a more consistent fashion, promote common practices (e.g., measures/metrics), and still allow room for researchers to leverage familiar tools as well as purposefully designed mobile ethnography apps that rely on the same programmatic interfaces used in quantified self scenarios. For additional information on this angle from the workshop, please see “Part 2” of this post, “Your Sensored Life: An Expanded View of Quantified Self“, on the Gartner Blog Network. Part 2 looks at some of the market and business implications revolving around quantified self, social network sites, personal analytics, and sensors. For readers of Ethnography Matters, I would very much appreciate your comments on Part 2.